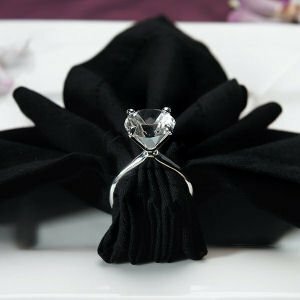 This napkin ring is fashioned after an engagement ring! 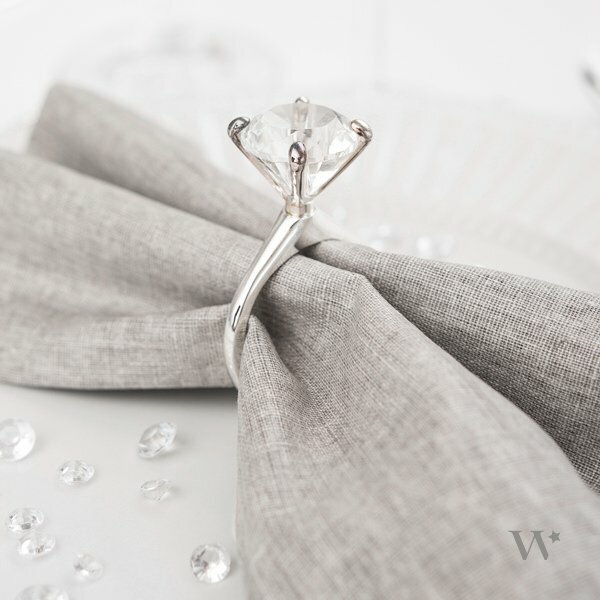 Add a touch of sparkle and class to your reception tables with these silver plated napkin ring holders which are sure to capture their attention. Each one is shaped like a giant diamond engagement ring and is sure to make a great impression with all of your guests. Sold in a gift box as a set of 4, with each ring measuring approximately 2" x 3" H.